News Archives - Adam's Rib Co.
As of Mother’s Day 2014, the Adam’s Rib Co. family has decided to be closed on Sundays. We are giving our team members the opportunity to attend church services or just spend time with their families without having to cut their day short to rush off to work. We are always happy for you to place your future catering orders through our website on Sundays. We look forward to providing you excellent service and BBQ Monday through Saturday. Reserve your seat now for all you care to eat BBQ, sides and tea for the Super bowl only $15.99 per person! We seating parties up to 10. We’ll have beer specials all night long and remember you are reserving a seat for the whole game so get your money’s worth! 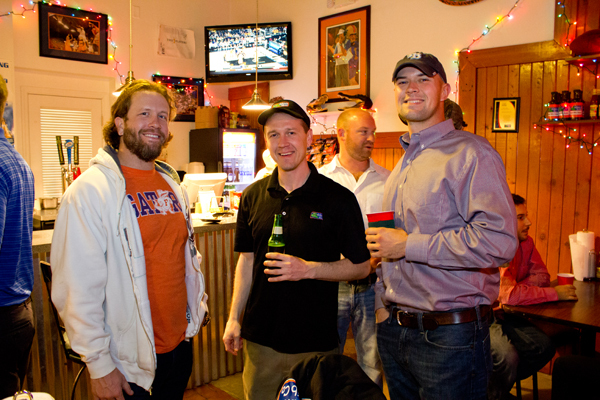 Saturday December 15th, Adam’s Rib Co. held their annual Christmas Party. This year was different than all of those previous. 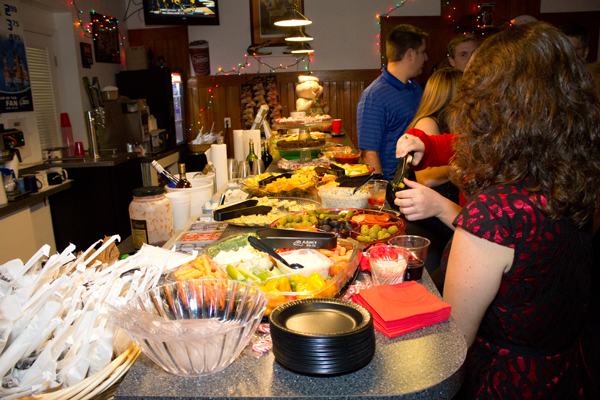 The Christmas party was held at the new Adam’s Rib Co. location at 1515 SW 13th Street in Gainesville Florida. 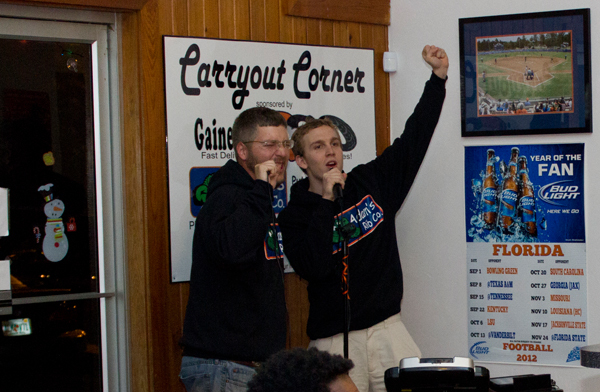 The festivities had giveaways and karaoke for the employees and friends. 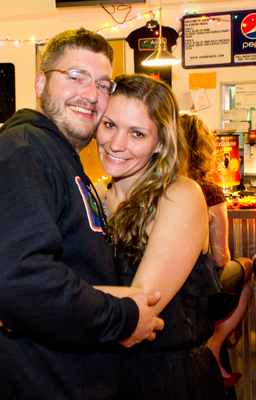 Everyone had a great time and the entire Rib Co. team would like to send out our best wishes over the holiday season. Enjoy some of our famous smoked Turkey breast this Thanksgiving and the Holiday season. Adam’s Rib Co. has smoked turkey breast or a whole turkey available. We will also be preparing some of the best ham in Gainesville. If you are one of the types that likes to pick out their bird, and or ham then bring it on down. For only $2/lb we will season it and smoke it to perfection for you and your guests. All orders must be reserved in advance due to high demand. Adam’s Rib Co. Opens Second Restaurant in Gainesville on SW 13th St.
Adam’s Rib Co. opened our second restaurant on SW 13th St. on August 24th, 2012. The second location will feature all of the same mouth watering BBQ done by Gainesville’s hometown bbq headquarters. 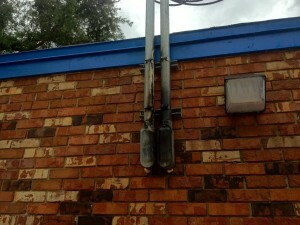 Our second location will bring our bbq closer to some of the main employers in Gainesville. Shands, UF, V.A all employ thousands within a short walk or bike ride. We are extremely excited to announce that our second location is a hit on the South side of town and has seen tremendous support in our first year. Thanks to our great customers we where able to expand our capicity to serve Gainesville’s authentic southern BBQ from the best restaurant concept in Gainesville today. The inside of our second location has tall ceilings with flat screens in every corner of the room. We know how important it is for our loyal customers to not miss a snap during football season. Everything is ready to go, and we hoep that everyone gets as much enjoyment out of our second location as they have come to expect from Adam’s Rib Co. We will continue to bring you the absolute freshest ingredients prepared just the way you like. We recommend that you purchase pants a little on the large side to make room for the best BBQ in Florida. Having our second location on SW 13th st allows us to offer more on site catering for Gator football games. 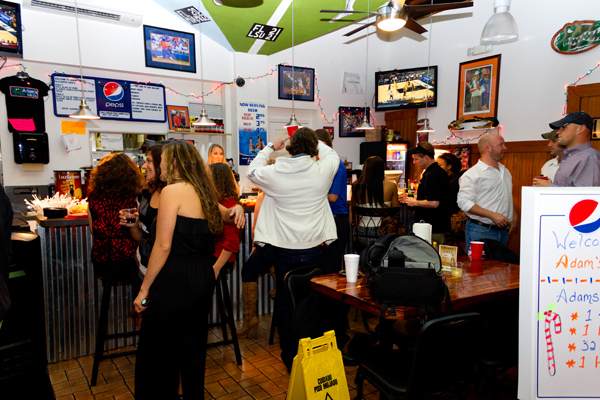 Our convenient location close to the University of Florida Campus, Shands UF health, the VA and other local businesses is ideal for the business professional to catch a bite to eat while on there lunch break. We offer our full menu everyday. Just give us a call or come by to experience Gainesville’s Hometown BBQ headquarters for yourself. Remember to sign up for our Free E Club for a free drink when you come in. South Location is days away from Grand Opening!! We are putting down the asphalt today around Lunch time! Calling for inspections Tuesday, and early Wednesday. Hope to be open for lunch that day! Pray for rain to hold off. July 10th, 2012 four days before the scheduled Grand Opening of Adam’s Rib Co. was marked by a lightning strike heard round the smoker. Due to damage to the electrical system of the new location, the opening has been delayed until further notice. We are hoping to get things all taken care of and pass the required inspections for a grand opening sometime in the next two weeks. At this time, we cannot give an exact date on when the SW 13th Street location will be ready for business. Adam’s Shows Nationwide Insurance how it’s Done! This past Thursday May 17th the Adam’s Rib Co. team had a wonderful opportunity to impart its great BBQ and service upon the Staff at Nationwide Insurance, feeding 950 people in less than 2 hours. What a successful event and we we’re able to move BBQ, hot , fresh, and fast. Thanks to the team of Tim,Jon Blood, Kyle M Eric, Josh, Andy, Brianna, Sarah, Trisha, Calvin, and Kyle, our team rocked out an overnight cook and was ready to serve the next morning. The staff at Nationwide which included Lindsey Harris, who locked us in, and Crystal Jansen. We’ve never worked along such a well organized bunch of people..
God Bless and Keep Cookin! 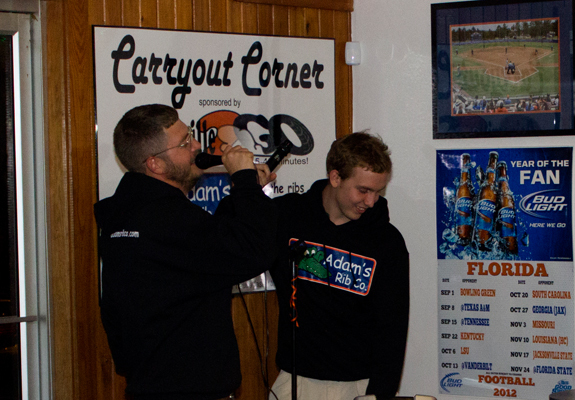 Adam's Rib Co. has been serving award winning BBQ for over 10 years. We also provide catering to the Gainesville area with local delivery and setup for all types of events. © 2019 Adam's Rib Co. All Rights Reserved.